What options are available to those people limited by the nation in which they were born? They may seek to relocate through their career or, in some cases, attempt to trace their family tree and obtain rights to an alternative citizenship. For those unable to follow these more traditional paths, however, citizenship by investment delivers a ready-made solution. Citizenship by investment is the process of obtaining citizenship by making a significant contribution to a nation’s economy. The process is forward-looking, with applicants contributing to the future prosperity of a country, rather than demonstrating a historic link to its people or institutions. One nation in particular can be credited with the conceptualisation, development and extension of citizenship by investment: the Federation of Saint Kitts and Nevis. A twin-island nation located in the Caribbean Sea, Saint Kitts and Nevis launched its citizenship by investment programme in 1984 – one year after obtaining full independence from the UK. Since then, it has refined its offering, providing a second citizenship that is widely recognised as the platinum standard by investors around the world. Saint Kitts and Nevis has been leading the economic citizenship segment for more than 30 years, yet at no time has its citizenship process been more appealing than it is today. Previously, aspiring Kittitians and Nevisians could donate to the Sugar Industry Diversification Foundation – with donations starting at $250,000 for a single applicant – or invest $400,000 in pre-approved real estate to be held for a minimum of five years. As of March 29, however, these programme staples have been surpassed in popularity by two new options: a $150,000 contribution to the recently established Sustainable Growth Fund (SGF) or a $200,000 joint investment in pre-approved real estate valued at $400,000 or more. The SGF option is particularly noteworthy, as it aligns Saint Kitts and Nevis with the UN’s Sustainable Development Goals and seeks to redirect funds to projects fostering climate resilience, education and medical advancement, among others. It also caters to large families, with each family member requiring a $10,000 contribution. The sole exception to this rule is the investment required from the spouse of the main applicant, who must contribute $25,000. While gaining citizenship to Saint Kitts and Nevis is certainly contingent on an investment, it is, above all, conditional on the applicant’s good character. Saint Kitts and Nevis is famed for its extensive security and vetting procedures, with due diligence performed by both the government and independent specialist risk analysis firms at every stage of the multi-tiered process. Files are also reviewed by international law enforcement agencies and checked against a number of sanction lists. Further, there is room for economic citizens to have their citizenship revoked if they are later found guilty of providing misleading information or committing crimes at odds with the government’s rule of law. By these methods, Saint Kitts and Nevis has safeguarded the reputation of its programme, its people and its future citizens. The security and subsequent strength of the citizenship by investment programme is also apparent in the diplomatic relationships that are continually being forged by the Federation to ensure its people have the greatest possible mobility. 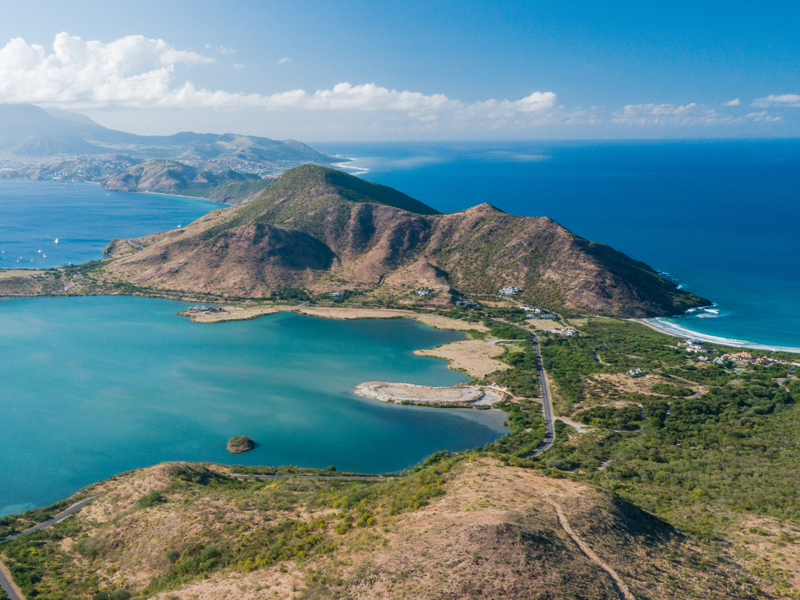 In addition to strict due diligence and safety guarantees, Saint Kitts and Nevis promises applicants a straightforward – yet sophisticated – application process with prompt turnarounds. Applications typically take around three months to be actioned, but a commitment to meeting the market’s requirements can expedite the process. Unlike any other jurisdiction, Saint Kitts and Nevis also offers the Accelerated Application Process (AAP), which ensures all steps for the acquisition of citizenship – including the issuance of a passport – are completed in 60 days or under. Furthermore, there is no need for investors to reside in the Federation or speak English, and applicants are not required to be familiar with the local history, traditions or customs. Saint Kitts and Nevis regards foreign investors as essential cogs in the engine of its development and, as such, puts economic citizens on par with those who obtain citizenship by birth, marriage or lengthy residence. Economic citizens who choose Saint Kitts and Nevis, therefore, are choosing a strong government with an equally robust legal system, sound investment opportunities in a thriving economy, and a peaceful home in paradise.